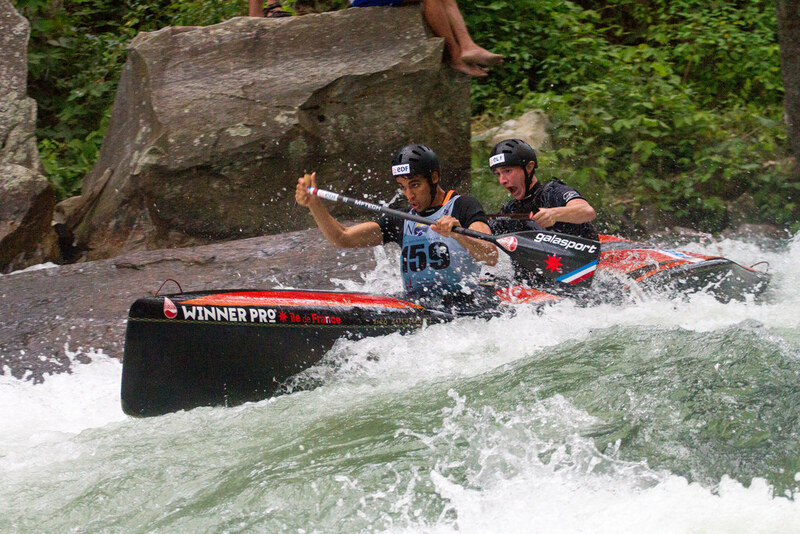 The Nantahala River is the perfect venue for such a competition. While fairly easy to get from start to finish, it is actually very hard to do fast. You need to be a experienced racer to negotiate the myriad of racing lines as you find the deep, fast water, while also being supremely fit to push thru the shallows and long wave trains. 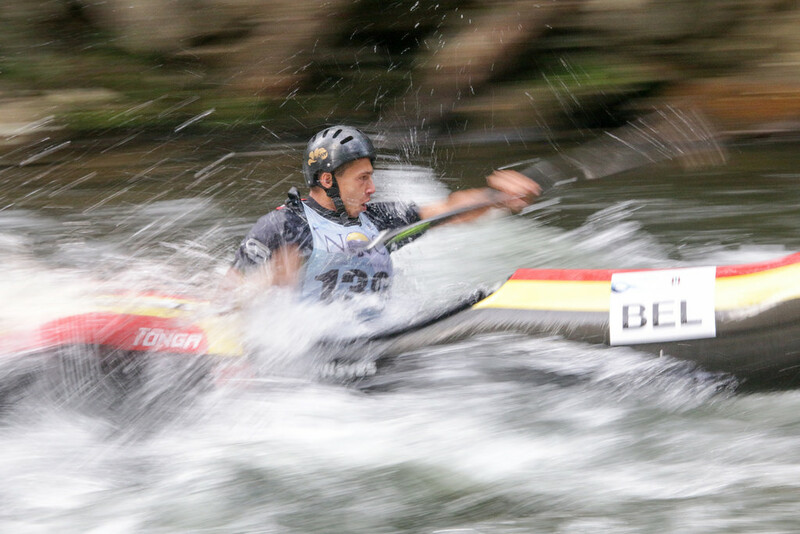 In other words, the Nantahala River is the perfect venue to host another World Championships. 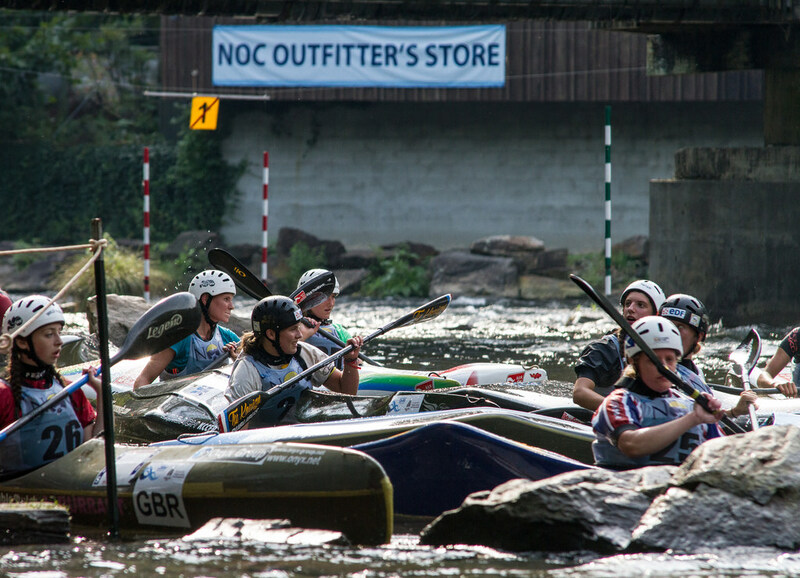 Wildwater is an esoteric sport here in the States, but in Europe the sport enjoys wide participation and recognition. Athletes race in super light composite boats that are a little wider than their hips but substantially longer than anything else you’ll see on the river. Speed is the name of the game here and with that speed comes instability and lack of maneuverability. These young athletes are masters of their craft having gone thru a difficult selection process back home for the honor of traveling to the Nantahala to chase the title. After weeks of training and preparation, the competition opened with a short but fun opening ceremony presided over by 1992 Olympic Gold Medalist, Joe Jacobi with short speeches from ICF Wildwater Chairman, Jens Perlwitz, Nantahala Gorge Association Vice-President, Juliet Kastoff and Nantahala Outdoor Centers, CEO, Sutton Bacon with regional bluegrass being performed by Frank Lee and Lisa Jacobi. While the athletes line danced to the regional tunes, the minute the music stopped the atmosphere changed and you could tell the competitors where ready for the intense competition that would follow over the next four days. The first day of competition is all about the “classic” or long race. This 2.2 mile race started at Surfing Rapid and ended at the Nantahala Outdoor Center. This same section of river would take a recreational paddler 45 minutes or more, but the fastest athletes here would complete the course in just 25% of that. With just one chance to put a time up on the score board, these athletes would have to dig deep to push thru to the finish. Known internationally as classic race specialists, the Czech Republic swept the gold medal spots in all Junior classes with Michal Smoldas (CZE) narrowly hanging onto the Gold in C1M by a scant 1.2 seconds over Mattia Quintarelli (ITA) while the fastest Junior time went to Adam Neubert (CZE) in an incredible 11’ 32.58”. In the Under 23’s the Czech dominance was challenged with Slovenia taking home the gold in the K1W, Marcel Paufler (GER) posting an unfathomable 11′ 15.38 in the K1M, with Italy comfortably taking the C2M. Day two of competition had the competitors back on the same classic course but this time in a team race. Three paddlers in the same type of boats must start and finish within 10 seconds of each other. Tactics play a huge part in team racing as you are only as fast as your slowest paddler. To no surprise, the Czech Republic took the majority of the top spots with Slovenia, Italy and Germany also posting top of the podium finishes. On day three, the tone of the competition changed dramatically as we started the Sprint competition. With a start right above Nantahala Falls, the hardest drop on the river, the athletes would sprint for 450m all the way to the Nantahala Outdoor Center in as little as 65 seconds. To add to the pressure, today was qualifying day for tomorrows final. Miss your line or get a poor start and your hopes of a podium finish could easily be dashed in this stacked field of talent. And sure enough there was plenty of drama to keep the hundreds of spectators enthralled as the competition played out. As with all races, there are winners and losers and watching the agony of defeat or the elation of moving into the final on these young athletes faces was simply priceless. The fourth and final day and everything is on the line for these competitors. The Sprint final uses the same course, but the field has been whittled down to the best of the best and the young athletes have one run to put it all on the line and become a World Champion. The Sprint final was one of the most enthralling competitions I have ever witnessed with every athlete trying to find every possible piece of speed they could as they pushed to the finish line in a lactic haze. The spectators could feel the excitement as they lined the river banks. 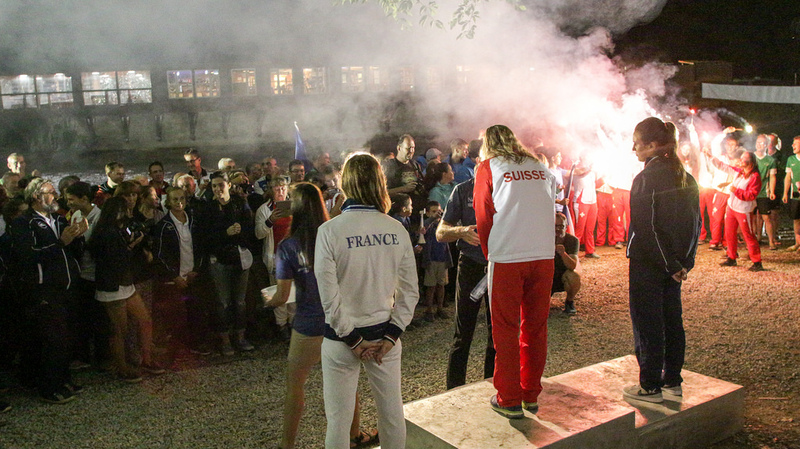 Italy took the Gold in the Junior C1M & K1W, Slovenia K1M, Czech Republic C1W and France C2M. In the Under 23’s it was a similar story with the Czech Republic taking the C1M & C2M, Slovenia K1M (with Maks Franceskin posting a ridiculous 1’ 5.44”), Italy the C1W and a great performance by the Swiss in K1W. But the action wasn’t over yet. After a short break the final competition of the World Championships would be the Team Sprint competition. Same sprint course but this time there would be 3 boats starting and finishing together. The good teams made it look easy with tight spacing, high speed and great use of the Nantahala’s many racing lines to ensure the team crossed the line in a tight pack. To no ones surprise, France, Czech Republic, Italy and Slovenia took the wins in what was an incredibly tight race. And that concluded 4 incredible days of competition for these young athletes and what a show they had put on! 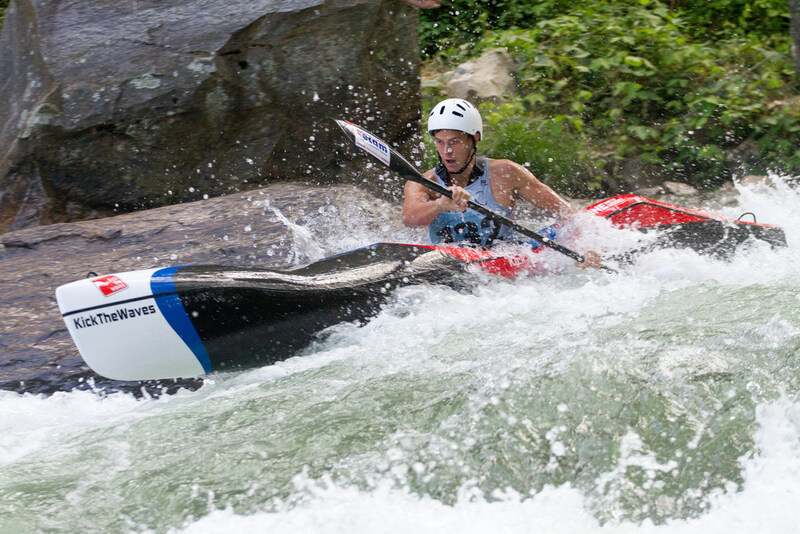 Not only had they competed on the highest stage that wildwater racing has to offer, but they had impressed hundreds of spectators, motivated kids near and far to try paddling while also adding to the Nantahala Rivers long legacy as a competitive venue for wildwater, slalom and freestyle.